One of the most anticipated ships in production today is Carnival Mardi Gras, a top of the line vessel slated to be the first in North America powered by liquid natural gas when she sets sail in 2020. 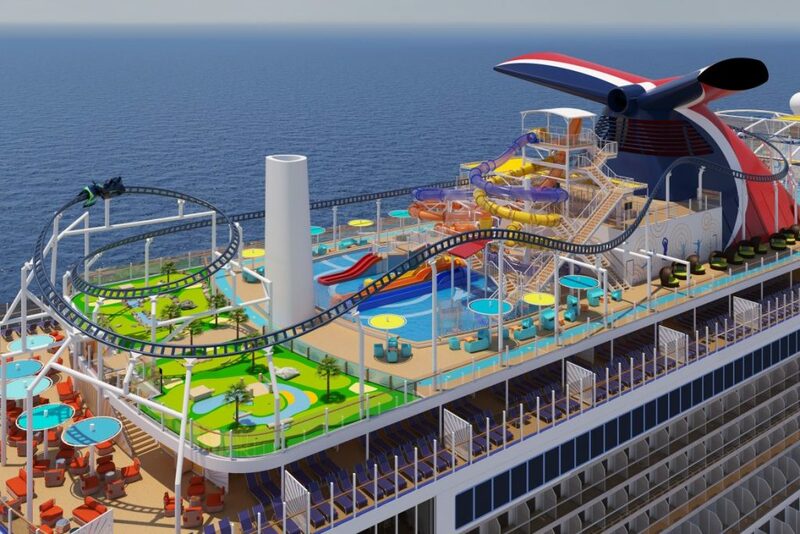 Carnival released some new renderings which included a look at the very first roller coaster at sea! We’ve learned quite a bit about Mardi Gras so far, but new details include passenger experiences highlighted by six themed zones. 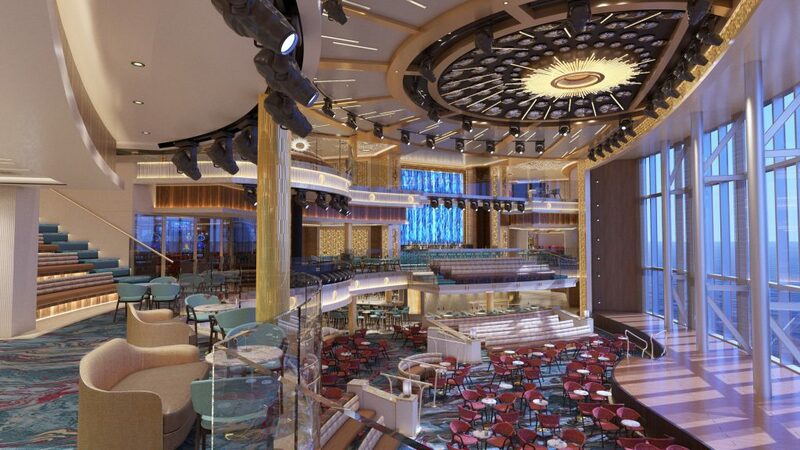 Throughout the ship’s 20 decks and in each of these distinctive areas, passengers will find fun, memorable ways to create their own personalized vacation with dining, libation, entertainment, recreation, and relaxation options. 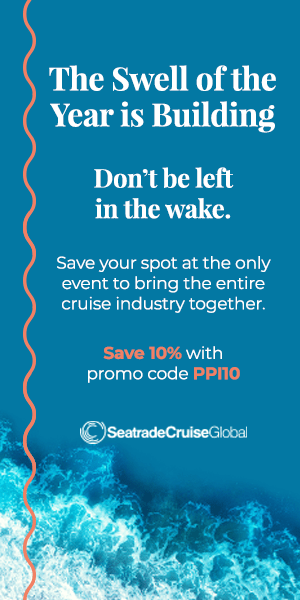 Christine Duffy, president of Carnival Cruise Line, explained the focus on fun above all else. 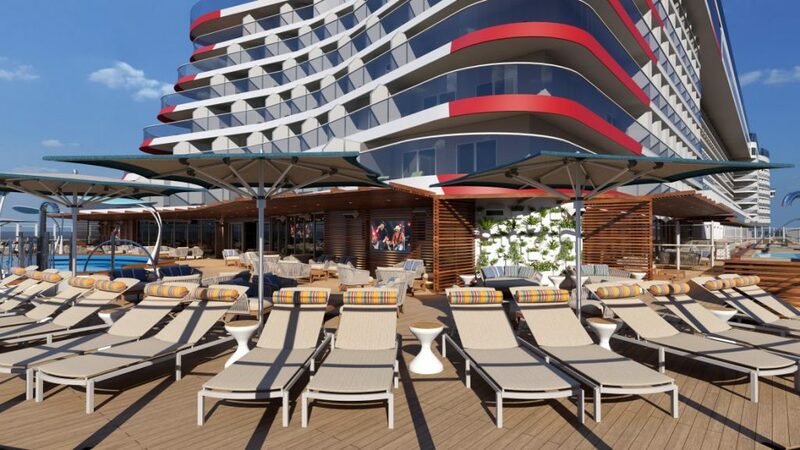 The ship will feature all your favorite Carnival dining options including Guy’s Burger Joint, the wildly popular lunch spot created in tandem with TV personality and food lover Guy Fieri. 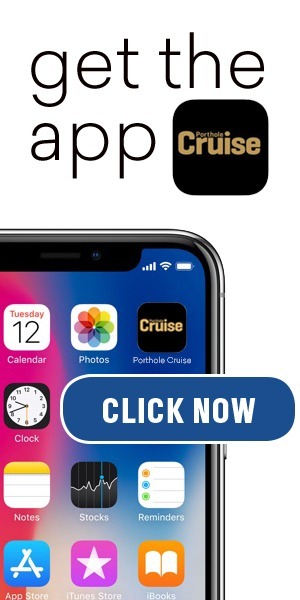 The ship will also feature Guy’s Pig & Anchor Smokehouse Brewhouse, a BBQ restaurant which serves the cruise line’s own ParchedPig draft beer. 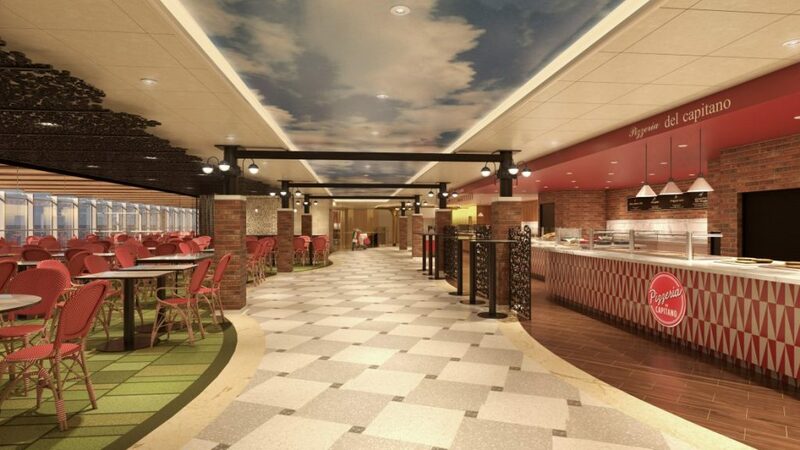 La Piazza (Deck 8, mid-ship) – At La Piazza, guests are transported to Italy where they celebrate the rich heritage of Carnival’s senior officers with authentic cuisine from the casual family-style Cucina del Capitano and 24/7 Pizzeria del Capitano to a new Mediterranean-themed seafood restaurant. 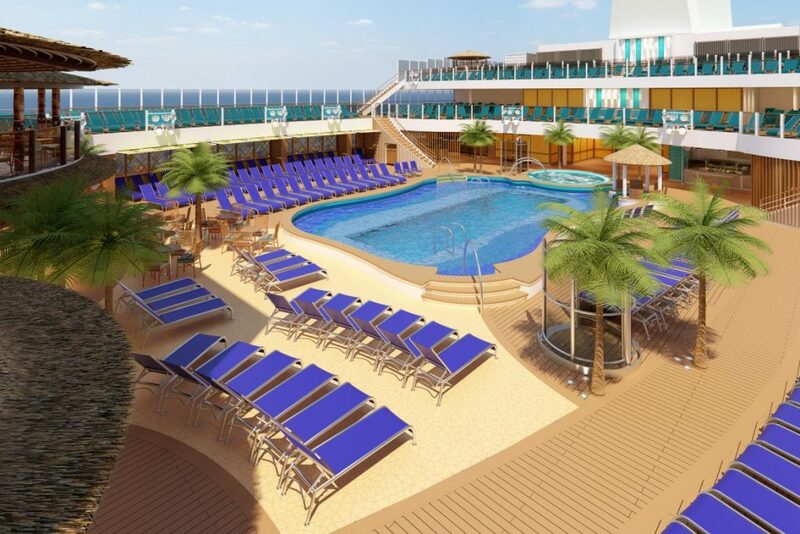 Summer Landing (Deck 8, aft) – For outdoor summer-inspired fun, there will be a pool and whirlpools, a new bar, the lunch counter for the Smokehouse Brewhouse along with ample lounging spaces and hang outs, making this the ideal spot to enjoy all the fun on board the ship. Lido (Deck 16-17, aft) – You know what this one has! 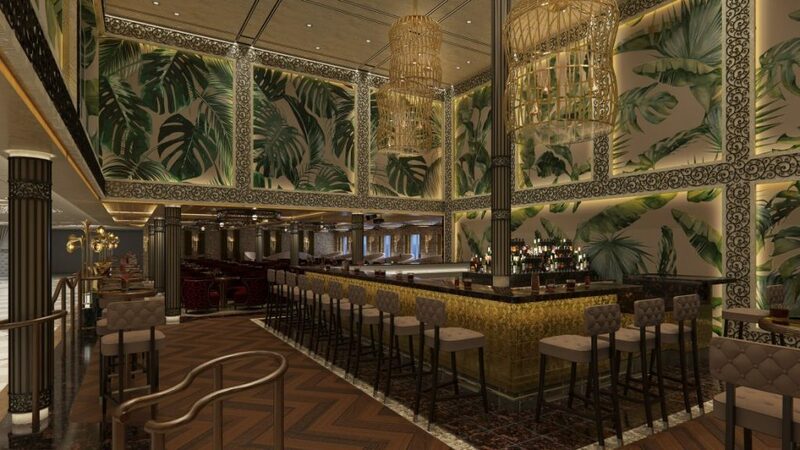 Enjoy the pool as well as Guy’s Burger Joint, the New England-inspired Seafood Shack, and BlueIguana Cantina Mexican eatery, along with some new concepts to be announced at a later date that are sure to inspire foodie fans. The Ultimate Playground (Decks 18-20, aft) – Aptly named, this deck features spacious family-friendly play area highlighted by the largest and most elaborate Carnival WaterWorks aqua park in the fleet, along with an expanded SportSquare. You’ll also find BOLT: Ultimate Sea Coaster, the first rollercoaster at sea where riders race along an 800-foot-long track achieving speeds of nearly 40 miles per hour. What do you think the most exciting feature of Carnival Mardi Gras will be? Let us know in the comments below!